You might know that solid state drives instantly make computer storage 15x faster1, but SSDs can also be used to accelerate your experience on game consoles, DVRs, network-attached storage (NAS), and home media servers. 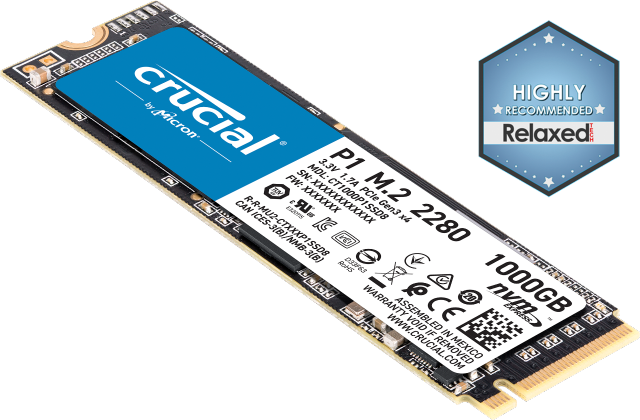 These devices often rely on a hard drive, which can easily be replaced with a faster, more reliable alternative – a Crucial® solid state drive. 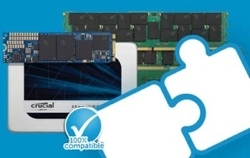 Because SSDs don't use mechanical moving parts that wear out over time, they can instantly speed up almost any device. Here's how you benefit. 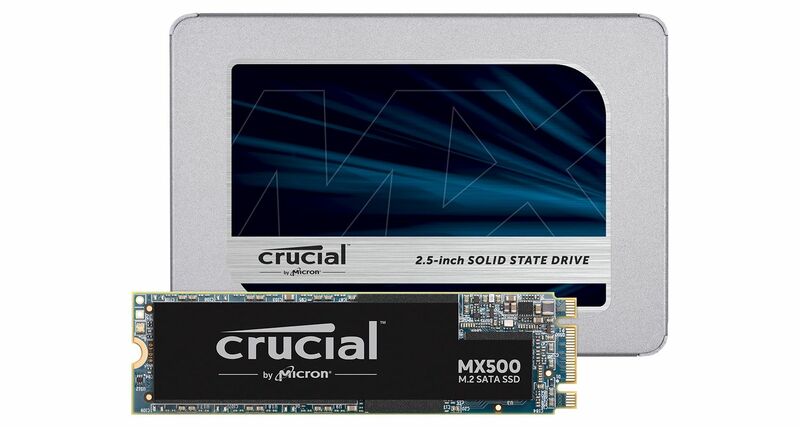 Read here for the benefits of an SSD in your personal computer. If you're looking for more Xbox One storage or a PS4 storage upgrade, you've come to the right place. Every time you load a game, your hard drive has to access the game’s files. Get on the battlefield faster by slashing load and boot times, accessing everything on the console faster, and getting better performance without breaking the bank to upgrade your console with a solid state drive. Crucial solid state drives are also over 2x more energy-efficient than a hard drive, so your console runs cooler and quieter.2 For more information on choosing the right SSD for gaming, read here. It takes time for your DVR to load the shows and movies you've recorded, and it's difficult to relax when your patience is tried by long load times. It's even worse when your DVR storage runs out of room to record. A solid state drive loads files faster and comes in capacities up to 2TB so you can store more of what you want to watch. Whether it's in the office, design studio, or at home, multiple users accessing a NAS strain its performance. That compromises your device's speed, limits productivity, and creates frustration. Although your network has a larger impact on NAS performance, don't let a storage bottleneck slow you down. Filling your NAS with SSDs helps each user access data almost instantly and protects your data at a higher level with encryption. Every time you access data on a hard drive-based home media server, you have to wait. And because almost everything is stored on the server, the wait times add up. A home media server takes time to retrieve and load the content you want to use. Access what you're looking for faster, and accelerate apps with a solid state drive for a more enjoyable and efficient experience. Plus, an SSD safeguards your important files, such as photos. Your photos, videos, games, and other entertainment are extremely important and are stored on a variety of devices. 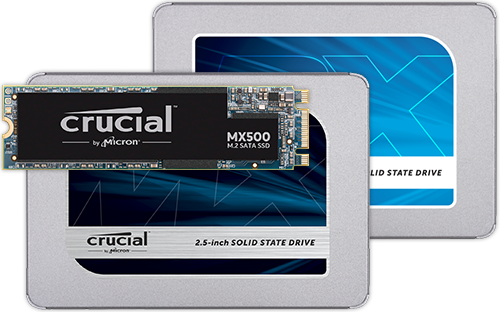 No matter what system you're using, enhance and preserve your files, media, and priceless memories with a Crucial SSD. Performance level based on comparative benchmark scores of the Crucial® BX100 SSD and the Western Digital® Caviar Blue™ WD10EZEX internal hard drive. Actual performance level may vary based on benchmark used and individual system configuration. Test setup: 1TB Crucial BX100 SSD and 1TB Western Digital Caviar Blue internal hard drive, both tested on an Intel® DZ87RL motherboard, Intel i7-4770K 3.50GHz processor, BIOS Rev. 0327, and Microsoft® Windows® 8 Pro 64-bit operating system using PCMark Vantage HDD test suite. Benchmark testing conducted December 2014. Active average power use comparison based on published specs of the 120GB Crucial BX300 SSD and the 1TB Western Digital® Caviar Blue™ WD10EZEX internal hard drive, which as of May 2018, is one of the industry’s top-selling internal hard drives..
©2018 Micron Technology, Inc. All rights reserved. Information, products, and/or specifications are subject to change without notice. Neither Crucial nor Micron Technology, Inc. is responsible for omissions or errors in typography or photography. Micron, the Micron logo, Crucial, and the Crucial logo are trademarks or registered trademarks of Micron Technology, Inc. Western Digital and Caviar Blue are trademarks or registered trademarks of Western Digital, Inc. in the U.S. and/or other countries. Intel is a trademark of Intel Corporation or its subsidiaries in the U.S. and/or other countries. Microsoft and Windows are trademarks of Microsoft Corporation in the U.S. and/or other countries. All other trademarks and service marks are the property of their respective owners.